WBO European Jr. Lightweight champion Archie Sharp is eager to make an example of undefeated Lucas Ballingall at the Royal Albert Hall on March 8 – live on BT Sport. 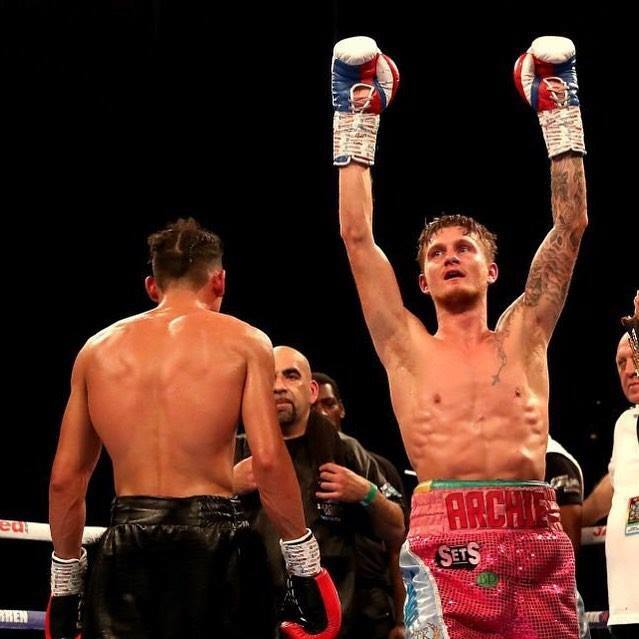 Sharp (14-0-KO7) puts his title on the line against Ballingall (11-0-KO3) on a huge card at the London venue and is hopeful another stellar performance will secure a showdown with highly-rated American Ryan Garcia later in the year. Sharp said: “It means a lot to be boxing at the Royal Albert Hall. I’ve never even been there, let alone boxed there so I’m looking forward to making a big statement and going down in the history of the place. “There will be hundreds and hundreds of ‘Sharpshooter’ fans in that prestigious old building on the night. We made a big noise in Leicester but now we’ve back closer to home in London, it’s going to be even bigger. “It was a good performance against Woodstock but I can do a lot better than that. I’ve looked back on it and there are lots of things I’ve been working on since that I can do a lot better. The performance on March 8 will be bigger and better – mark my words. “Now we’re on a big platform, I’m going to show everyone just how good I am. I’m boxing another undefeated fighter because I don’t hide from anyone. Woodstock was supposed to be a big prospect and so’s Ballingall.